This two-day class features morning classroom sessions followed by afternoon sessions of guided exercises operating the UW-Stevens Point Fourdrinier pilot paper machine. This combination has proven to be a highly effective and enjoyable way to gain fundamental knowledge of the commercial papermaking process. This WIST course is designed for anyone who needs the basics, transferred from another industry, is new to operations, does maintenance, or supervises employees. With class size always limited to 16 or fewer participants, there is ample opportunity for questions and discussion during classroom sessions and hands-on opportunity on the paper machine. The course runs from 8 a.m. to 4 p.m. daily with lunch and break refreshments included. Dr. Gerry Ring is professor emeritus of paper science and engineering at the University of Wisconsin-Stevens Point. In 1980, Ring began his professional career as a Research Scientist for Kimberly-Clark Corporation after obtaining his Ph.D. at the Institute of Paper Chemistry in Appleton Wisconsin. In 1986, Ring joined the faculty of UW-Stevens Point and chaired its paper science (now paper science and engineering) program from 2003 until 2013. 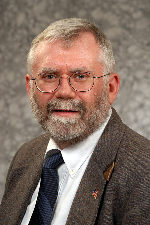 Dr. Ring has written 15 publications, including editing the Colloid Chemistry of Papermaking Materials textbook. He holds four patents and was recognized in the 1994, 2000 and 2004 editions of Who’s Who Among America’s Teachers. He is also listed in the Marquis Who’s Who in America. Ring received an Award for Excellence from the Wisconsin University Continuing Education Association, Region IV in 1999. Ring is a TAPPI Fellow, and a recipient of TAPPI Journal’s Best Research Paper for 2011. Ring’s research is in the area of paper physics emphasizing hydrogen bonding and sheet formation. Participants operate the university's Fourdrinier pilot paper machine, guided by WIST staff and Paper Science and Engineering faculty. Participants in this course have consistently given it high ratings overall and overwhelmingly said they would recommend this course to others. "Great way for someone new to paper or a seasoned professional to obtain the skills needed to be successful." "Effective, well-paced and a bunch of fun." "I enjoyed this course because it was informative and hands-on. Friendly staff and comfortable work environment."